4 tablespoons of cream (originally this was only a teaspoon of milk or cream but this led to a sauce that was more fudge than sauce – the extra liquid makes all the difference). 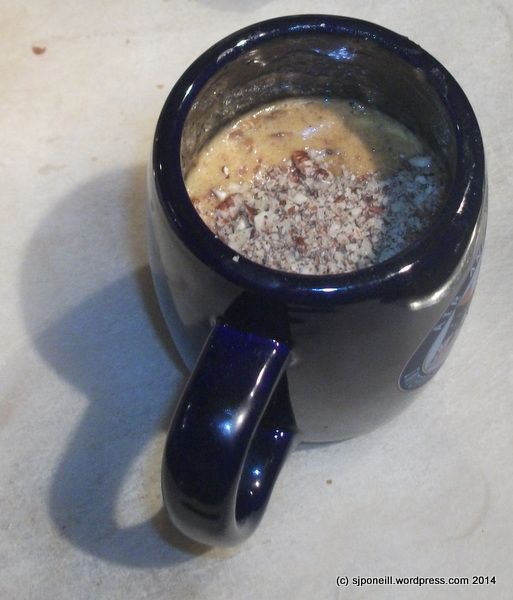 Place the chopped dates and water in a large mug and microwave for 50 sec until the dates are softened. Add the Bicarb soda and let it sit for 30 seconds before mashing the dates roughly with a spoon. Add the butter and place again in the microwave for 10-15 seconds to soften and melt. Add the sugar, egg, walnuts and flour and mix to combine thoroughly. The original recipe called for only half the walnuts and for these to be sprinkled on top – I think I get a better result mixing more walnuts throughout the mix. Place in the microwave on a sauce for 1 minute. It may need a further 10-20 sec to finish it off completely, depending on your microwave. 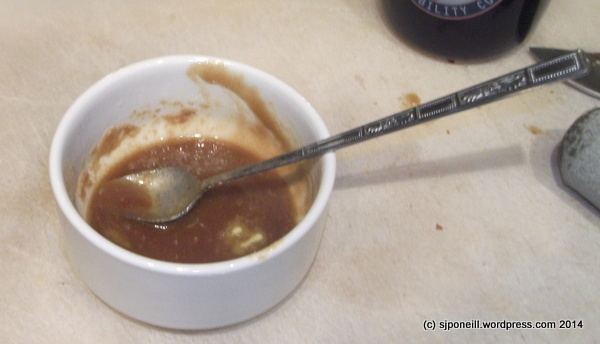 For the caramel sauce, place the the sugar, butter and cream into an ovenproof ramekin and microwave for 20 seconds. Remove and stir and repeat another three times. 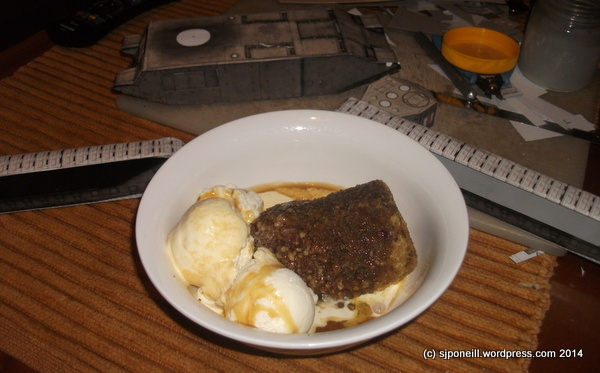 Shake the sticky date pudding from the mug into a dessert plate, and add ice cream. 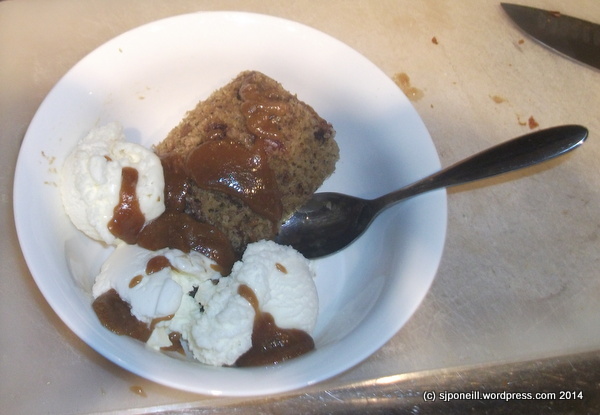 This entry was posted in Masterchef Raurimu and tagged 30 Cake in a Cup Challenge, dessert, Dinner by SJPONeill. Bookmark the permalink.